The Omni Austin Hotel Downtown offers an unparalleled experience in the Lone Star State’s capital. 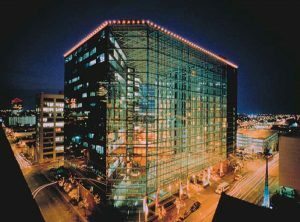 The Omni is located in the heart of downtown with easy access to the Austin Convention Center, the Texas State Capitol and the 6th Street Entertainment District. The Austin-Bergstrom International Airport is just 7 miles away. Whether you are seeking shopping, dining, or an extremely comfortable room, you’re sure to find it here. Be sure to mention the Best Practices 2019 Conference when making your reservation, to get the best rate!